We make sturdy look spectacular! When crafted with care and precision, garden and retaining walls tie together landscape elements, enhance the natural curve of the land, house critical lighting fixtures, provide seating and—perhaps most critically—support plants and embankments so that no landslides or erosion can occur. Retaining walls add beauty, flow and value to your San Diego property. 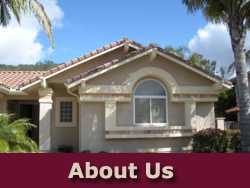 Built correctly from the beginning, garden and retaining walls last 30 to 40 years. How Do I Get a Garden and Retaining wall Quote? We will visually assess your garden and retaining wall needs and provide you with a fair estimate. We look forward to serving you! 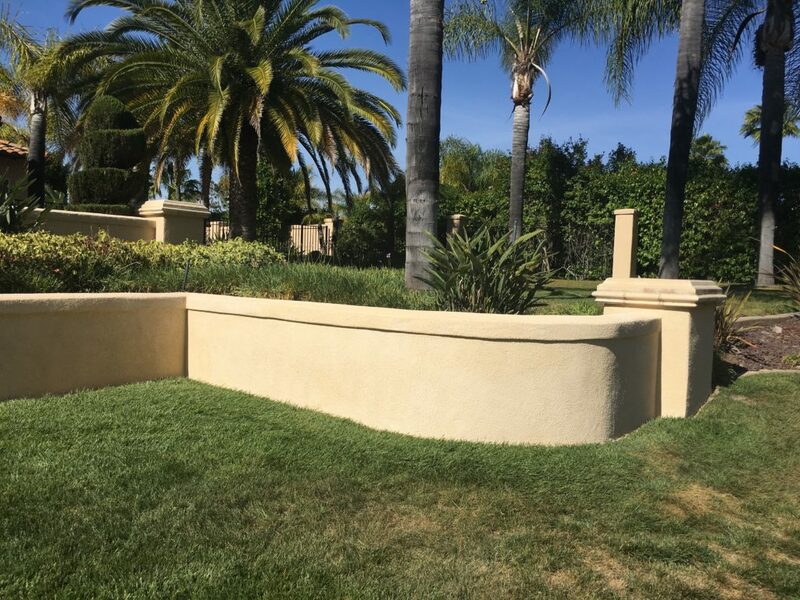 Superior Stucco and Stone started business in 1988 with a mission of creating garden and retaining walls San Diego and North County residents would treasure for decades. 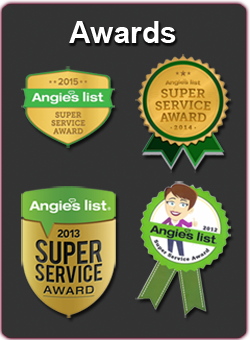 Since then, we’ve served thousands of clients, and they have kindly rewarded us with 260 reviews on Angie’s List, a feat which won us Angie’s “Super Service Award” several years in a row. Our 16, 4- and 5-star Yelp reviews help, too! 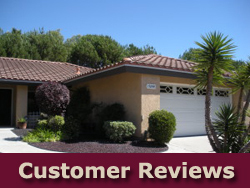 Read some of our reviews from real customers here. When you work with us, you get up-to-code and by-the-book at a fair price. Unlike the typical stone mason, we put high quality materials in the hands of the best craftspeople every time, while keeping prices affordable. A garden or retaining wall built by Superior not only keeps your landscaping and soil in place, it takes the eye out to the horizon, mimics your garden design, makes your outside space more livable and creates a dramatic entrance to your home. Talk to company owner Pavel to narrow down your choices, find retaining wall resources and learn of great options you may not have considered. Make an appointment for on-site consultation. Meet with Pavel and/or Hugo at your home to review your best options using Superior’s portfolio as well online options like Houzz and Landscaping Network. 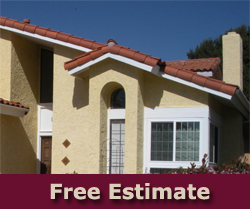 Every Superior Stucco and Stone garden or retaining wall comes with a 1 year work guarantee. We pride ourselves on getting it perfect. Hardscaping should last a lifetime. As San Diego’s leading retaining wall contractor, we believe landscaping elements should last a lifetime. Just one look at your retaining wall should remind you of the quality choices you’ve made for every element in your home. The retaining walls San Diego homeowners choose vary from sleek and modern to rustic, stacked versions that complement Craftsmen and Victorian styles, but they are all flawlessly built. No matter your architectural preferences, Superior Stucco & Stone has the materials and vision to build the garden and retaining walls that help your home flow from curb to canyon. Whether your home is Adobe, Ranch, Bungalow, Craftsman, Modern, Victorian, Mid-century Modern, Spanish-Mediterranean or eclectic, there’s a retaining wall to match it! If you’ve seen it (and even snapped it), we can replicate it. If not, we’ll bring our resources so we can provide the ideas that will resonate with your individual style. Dry Stacked or Gravity Retaining Wall: This wall does not involve grout or mortar; it depends on proper stacking of beautiful, natural stone and gravity to stay in place. Some homeowners may choose granite, a heavier stone effective in holding back soil. Others choose flatter limestone or other sedimentary rock. Battered or Stepped Block Retaining Wall: By stacking blocks with each row placed back about one inch from the one below, earth is held securely in place. Concrete Block Retaining Wall: Many San Diego homeowners choose to build retaining wall build from concrete (cinder) blocks that are mortared in place and then filled with concrete. From there, it’s easy to dress this wall up with stone veneers and solid stone toppers. This option saves money while providing the design flourish you crave. Tongue-and-groove tumbled concrete stone: Manufacturers fashion concrete into create a rough, stone look but add tongues and grooves to each block to create an interlocking mechanism. This wall goes up quickly on a level base, but still requires a professional to ensure longevity. Some San Diego and North County homes are built on some uneven or uniquely shaped lots. Superior uses the above options and even more to fit your property’s challenges and opportunities. Landscaping should last a lifetime. Any retaining wall contractor will tell you that some lots can limit choices. The garden and retaining walls San Diego property owners require must be constructed carefully from start to finish. You May Need a Retaining Wall If . . . Homeowners have both practical and aesthetic reasons to seek out a retaining wall contractor. Do you need to enhance your property’s value due to one of these issues? Think of the rice paddies in the far east. Farmers there have worked hard to create flat areas that encourage the water to soak into the soil rather than run off. Here in San Diego, our plants must get every drop of our natural rain and the irrigation we provide. Superior creates the tiers that give you several beds for planting if needed. Even infrequent rains sends our Southern California sandy soil makes into culverts in our canyons and down to our bays and waterways. Keep as much soil as you can on your property when you use a retaining wall. Of course we love our canyons in San Diego. They give us a front seat to the local flora and fauna. But when embankments aren’t stable, homeowners can end up with mud and debris in their yards or pools. A sturdy retaining wall ensures you are protected from canyon flooding and landslides. Properties downhill from a soil fault line are most at risk. A retaining wall lined with a root barrier helps to direct roots to lower strata sub-soil, closer to water sources and away from your pavers, paths and other hardscaping. If you’re wondering whether barriers work, think about your last Disneyland trip or the White House. Both places, along with most major hotels, have trees near hardscape with no disruption from roots. These companies and most major hotels carefully use root barriers to protect their hardscape investment. Toppers and a few cushions turn a retaining wall into extra seating for your outdoor kitchen or living room. They can separate play space from adult mingling and dining areas. Home gardens not only increase the value of your home if you’re looking to sell, they enhance your health and well-being while you live there. Multiple tiers in your yard add texture and personality. Deep slopes are difficult to plant, landscape and maintain as water tends to run off . before plants can establish themselves. Tiering holds the water and rich soil in place, providing the foundation for layer after layer of color and texture. Typically standing from two and a half to five feet tall, a retaining wall can be built from natural stone, interlocking cement blocks, wood or cement block filled with concrete and textured with plaster or enhanced with stone veneers. A retaining wall creates more level landscape areas, preventing soil erosion and water run-off. They can also be used in seating for an outdoor patio, a dramatic home entryway or just to add texture and personality to a bank. Are retaining walls easy to build? Can I build a garden or retaining wall myself or with a handyman? There are a few websites that say you can, but these tend to sell cement blocks. Superior Stucco has rebuilt, re-stuccoed and re-veneered hundreds of retaining walls put together by inexperienced handymen and well-meaning do-it-yourself homeowners. The biggest issue seems to be when the retaining wall is built on an uneven surface. This leads to cracks and breaks in the cement and in the stucco. When you get it done right the first time, you enjoy it for decades. How do I know if a retaining wall contractor is legitimate? Always check that any contractor you select has a legitimate stone masonry contractor license. 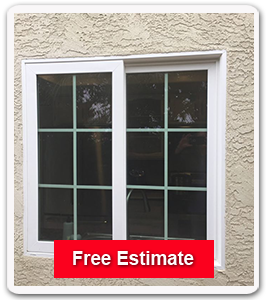 California provides this contractor license check service for free! Working with stone can be tricky work requiring intense training and apprenticeship. If you want it to turn out beautifully and persist through wind, rain, heat and earthquakes, you’ll go with a verified professional. Are retaining walls covered by insurance? Homeowners’ insurance policies consider retaining walls “separate” or “other” structures. They are covered up to 10 percent of the value of your home. So if your home is worth $250,000 and your retaining wall cracks, you may be eligible for $25,000 to repair it. This said, many Southern California insurance policies contain clauses that exclude certain types of damage to your retaining wall. For instance, if an earthquake or flood damages the retaining wall, the insurance company will most likely assert that separate flood or earth quake insurance policies are responsible. It’s smart to ask your insurance agent if you’re covered if your foundation settles, cracking your foundation. What do retaining walls cost? Which retaining wall is best? The right retaining wall for your property depends on the area’s slope, soil and drainage, not to mention your purpose for it. While poured concrete is stronger than a block wall, it doesn’t have as much natural appeal. A brick wall is durable and attractive, but it may need special drainage work. It’s also labor intensive and therefore more expensive than other choices. Superior works within all kinds of budgets to create the garden and retaining walls San Diego homeowners need! A quick phone call to us at 858-571-0882 will narrow your choices down so you don’t waste time on materials and styles that may not be appropriate for your needs. It depends. If the wall is 30 inches high or less, you do not need a permit. Anything that you’re building over three feet requires a building permit. To find out if your retaining wall needs a permit, call (619) 446-5000. Your retaining wall contractor should be able to advise you, as well. Those building garden or retaining walls over 30 inches high, do need a permit. That means either you or someone from Superior Stucco goes down to the city of San Diego’s Development Review Center on 1222 First Avenue. You can call (619) 446-5300 for appointments or (619) 446-5000 for general information. If you don’t have an appointment, this process entails standing in line (much like at the DMV) waiting for your turn. Sometimes agents are very accommodating. Other times, they require more documentation and plans like a plot plan for your property showing the improvements, and type of construction you plan to use. Take all plans with you when you go. Lucky applicants get their projects fully permitted right on the spot, over the counter. A retaining wall is a relatively simple project, and we’ve had good luck getting immediate permitting. Others are asked to leave plans for review. In those cases, permits may take days or weeks to be issued. San Diego regulates construction by issuing permits and inspecting new structures and remodels. Contrary to popular belief, city building codes intend keep all residents safe, not just cause trouble! Homeowners are required to build according to plans submitted. Changes require getting additional approval from the city. When work is completed, an inspector checks to make sure all work is up to code. The good news here is that when you go to sell your house, you can reassure realtors and prospective buyers that all improvements are up to code. Will a retaining wall stop tree roots from growing? Tree roots can penetrate cement blocks and even stone, but not specially-designed root barriers. Special materials and root-deflecting ribs guide roots downward below the barrier edge into the subsoil. Any retaining wall contractor knows how to prevent root issues. The White House, Santa Barbara Zoo, Disney World, universities and hotels all use root barriers to mix natural trees and practical hardscape. Superior Stucco and Stone is happy to line any retaining or garden walls with root barriers so that your wall remains pristine. Where do I get retaining wall ideas? Make sure to write down the web addresses of those you like best. Pavel or Hugo will work hard to match it perfectly. Do you do retaining wall design? Ready to review some of the beautiful and sturdy retaining wall options available today? Click this button and fill out our simple form. We will call to provide the key details you need to take your next steps. Don’t forget to see our 260 reviews on Angie’s List, quite a few, even for a retaining wall contractor in business for thirty years! Our 16, 4- and 5-star Yelp reviews will give you an idea of our superior work and beautiful projects.